Frequent eating of foods high in sugars and starches can promote tooth decay. 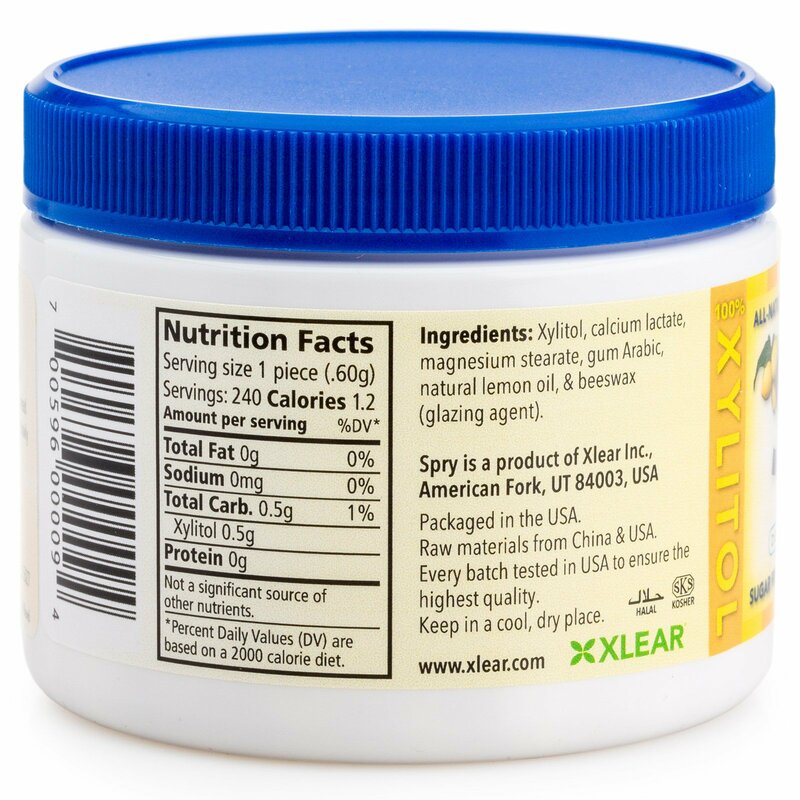 Clinical studies have shown that the use of xylitol on a daily basis, spread throughout the day, may reduce the risk of tooth decay. 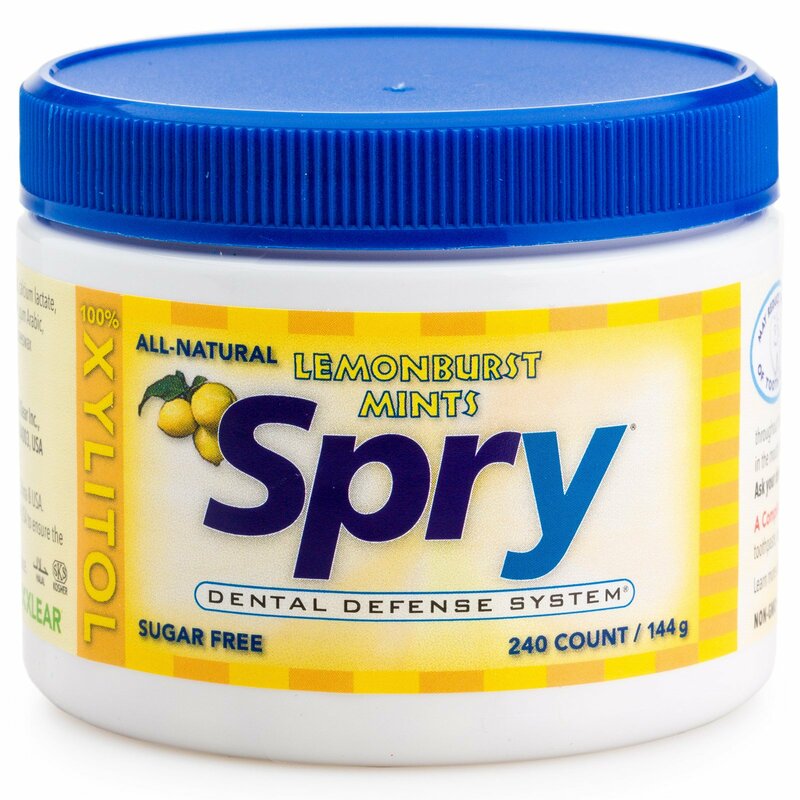 For best results let Spry Mints dissolve slowly in the mouth after each meal. Xylitol, calcium lactate, magnesium stearate, gum Arabic, natural lemon oil, & beeswax (glazing agent).